The Hog Master enjoyed an eventful Diamond Jubilee selling and hiring out hundreds of hog roasting machines and just shy of the thousand mark. The Diamond Jubilee was celebrated all over the world and was celebrated with such passion and pride. Almost every street in the UK was packed with people enjoyed a feast. Most definitely over a thousand people were enjoying a hog roast over the Diamond Jubilee period. Months before the Diamond Jubilee we had customers buying the Hog Master and renting one for the Diamond Jubilee so they definitely knew they had one for when the time came. They could practise doing roasting with the Hog Master and doing events to be prepared for when the time came. Nearer and nearer the time more and more emails and phone calls came in requesting a Hog Master for the Diamond Jubilee we had just over a hundred Hog Master prepared for such a flurry of requests but we had to work our socks off because they just kept coming and coming. 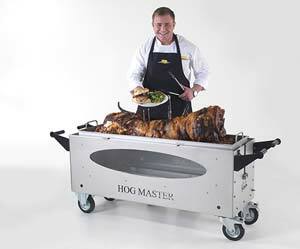 Our delivery drivers travelled all over delivering the Hog Master, giving the customer some handy tips and helping them understand how the hog roasting machine works, then dashing back to the factory to get another hog roasting machine and do the same process all over again. It felt as soon as we produced a Hog Master spare it would be whipped up by a customer. Eventually we got back on track producing some spare Hog Masters so we could rest a little. 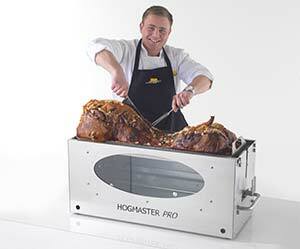 We had many enquires saying they had booked with another company yet they had already sold their hog roasting machine. Some companies overbook thinking they will be able to produce the customer hog roasting machine in time yet they come unstuck and have to give the money back or tell the customer they have no hog roast machine in time for their event. We only provide the customer with a hog roasting machine if we actually have one available by doing this you provide the customer with a hog roasting machine without doubt. The Diamond Jubilee was a huge success and it was such a joyous event and the Queen has done a remarkable achievement coming to the throne for 60 years. Hopefully we will get a well deserved rest after working overtime or maybe not we may have loads of enquires for the upcoming Olympics.